The American University of Armenia (AUA) will offer undergraduate education starting in September of 2013. The university has received accreditation by the Western Association of Schools and Colleges (WASC) and a license from the RA Ministry of Education and Science to offer four-year education. This means that graduates of senior schools in Armenia can apply and if successful enter AUA and, for now, study business, English and Communications, as well as Computational Sciences. Until now – during its 20 year history – the university has had only graduate courses, trying not to upset the university environment in Armenia by establishing a radically new undergraduate system that could potentially detract from existing schools. The university administration says the new faculties offer applied knowledge, and there is high demand for these professions in the job market. AUA hopes to admit around 300 students per year to study for Bachelor’s degree and take this number up to 1,200 by 2017. “All of us at AUA are excited about reaching this new milestone – to offer a high-quality undergraduate education to the future leaders of Armenia and the region. 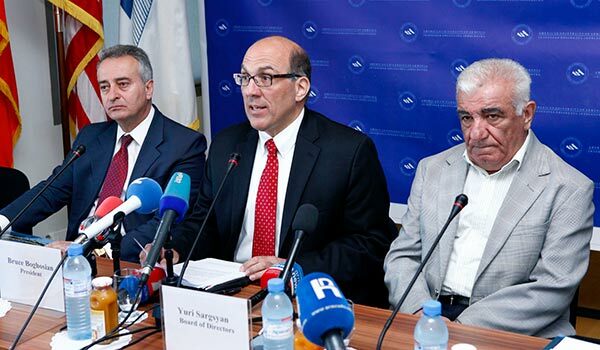 We remain committed to offer rigorous academics and an American education and look forward to a vibrant, international faculty and student body from Armenia and abroad,” AUA rector Bruce Boghossian said, when announcing the launch of the program. Entering exams will be held by AUA, except for the Armenian language test, which applicants take by a unified test system (high school graduation and university entrance together). The tuition fee for business faculty will be 1.2 million drams (around $2,900), and the other faculties tuition will cost one million drams ($2,400). “AUA has a ‘full-need’ financial aid policy, that is, we are committed to the principle that no Armenian student will ever be denied an AUA education because of inability to pay tuition. AUA also has a need-blind admissions policy. This means that students are admitted strictly on the basis of their academic merit, regardless of their need. Institutions that are both full-need and need-blind are rare anywhere in the world,” said President Boghosian. One of the best universities in Armenia, AUA has some 2,100 graduates, 80 percent of whom have stayed to work in Armenia.